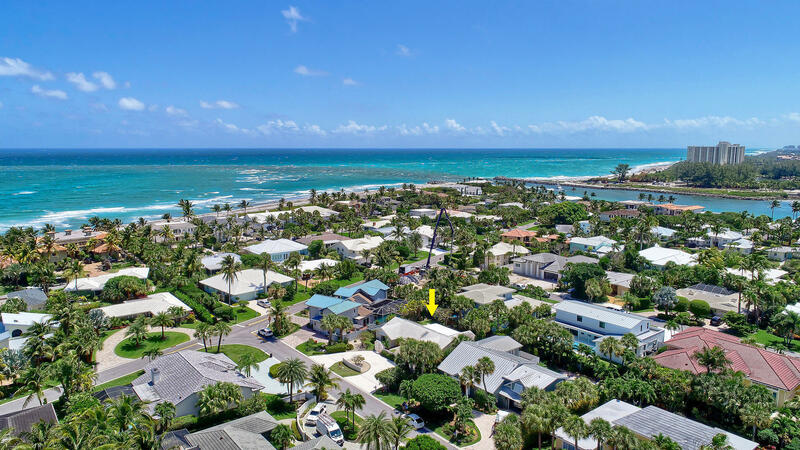 EXCLUSIVE Jupiter Inlet Colony... this desirable beach side community offers a touch of paradise with beach access to the pristine, un-touched beaches just north of the Jupiter Inlet. This charming 3 bedroom, 2 bath beach cottage is steps to the Atlantic Ocean sitting on a symetrical 0.21 Acre Lot. Enjoy as is or use as a great building site for your dream home. Property features private, fenced backyard with lush landscaping. 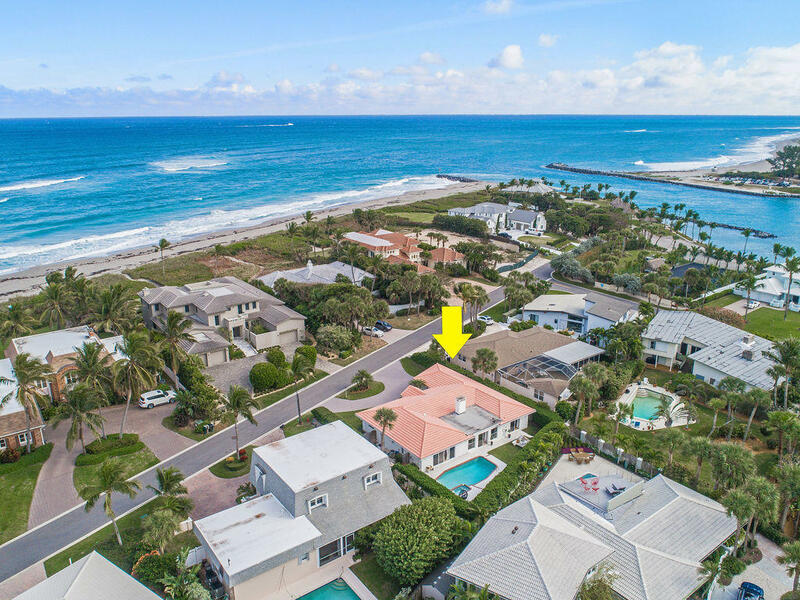 The Jupiter Island Beach Club Marina with boat slips and the Jupiter Inlet Beach Club is available - www.myjibc.com. Private police force and town hall located within community. Major infrastructure improvements were just completed moving all utilities underground with installation of new city water lines, central sewer system, new roads & improved drainage system. 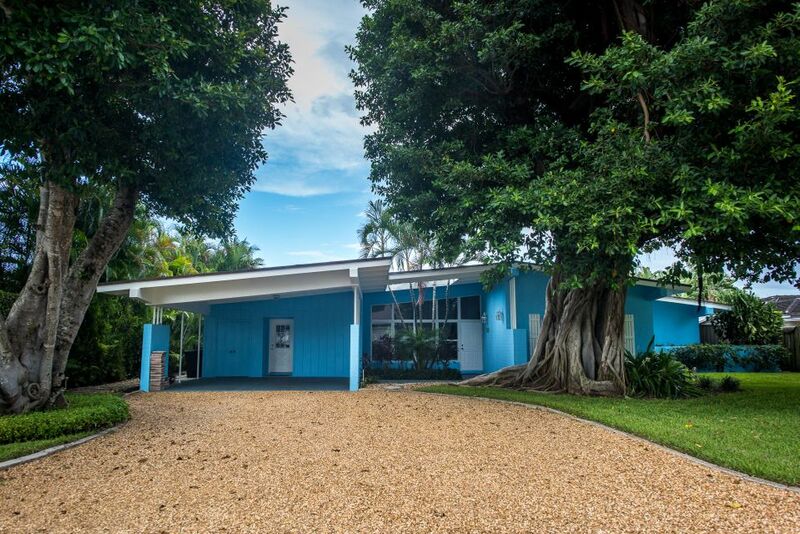 Charming Mid-century modern 3 Bedroom, 2.1 Bath Beach Cottage with 2 space carport that has been nicely renovated.Features include high vaulted wood ceilings, marble flooring, open kitchen, spacious great room that opens up to the private backyard with beautiful heated pool. 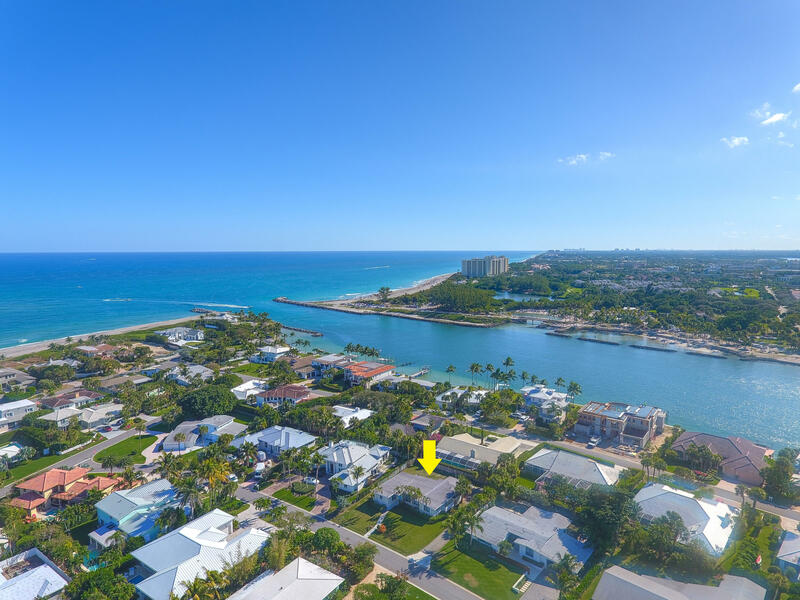 The home is just steps away from the secluded beaches of Jupiter Island and JIBC Marina and Yacht Club. Great house with great character and spectacular beach location. Close to waterfront restaurants, The Maltz Theater,upscale shopping and a new movie theater. Boating, fishing and music venues are near by. This is a pet friendly community.